Jim Day has been involved with curling for a number of years and in many capacities. 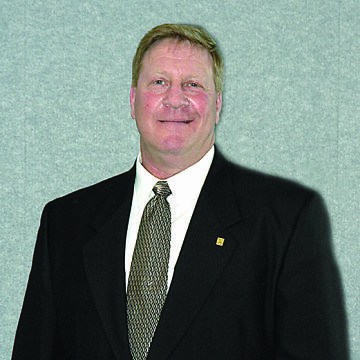 Starting as a District Coordinator for the Saskatchewan Curling Association (SCA), Jim then served a number of years as SCA Region Director (1988 – 1994). In 1995, SCA Vice President and in 1996 Jim was President of the SCA. Jim’s education in the Technical side of the sport of curling began in the early 1980’s. Over the course of almost twenty years, many clinics and courses, officiating at countless curling events, Jim reached the highest level of Officiating in 1999, a Level 5. Jim Day has officiated at many events over the course of his officiating career. In the capacity of Head Official or Supervising Official Jim has officiated for countless Provincial Championships, Winter Games, National Curling Championships and World Curling Championships. Also the Canadian Olympic Trials. Of the National events, most have been Briers, the Men’s National curling championship. Jim worked with the Saskatchewan Ladies Curling Association (SLCA) prior to their amalgamating with the SCA in 1997, to establish standard officiating procedures. He served on a CCA committee to establish penalties for curling rule infractions and assisted the CCA National Development Technical committee in developing National Officials policies, course packages and course exams. He also served on the CCA National Officiating Committee for a number of years. In addition to officiating at these many events, Jim has instructed at numerous Curl Canada Clinics and Level 1 & 2 Officiating Clinics in Saskatchewan. The well-qualified curling officials in Saskatchewan can no doubt be attributed to the commitment of individuals like Jim Day.